Assorted animals, primarily for use with Dux Britannarium. All from Warbases, except the sheep which are from Gripping Beast. Highland cattle, as coveted by Raiders. 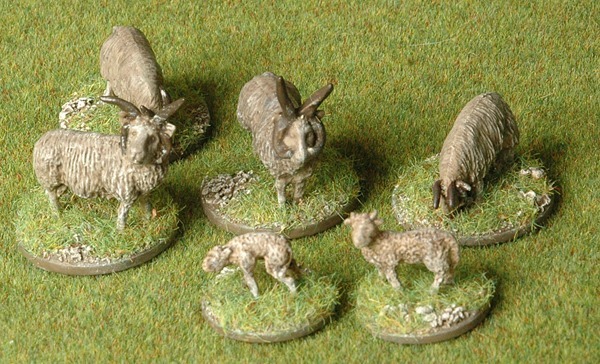 I painted these for use in the Dux Cattle Raid scenario. Nice blog sir! Thanks for the answer about the game deck.